Compared to commercial off-the-shelf or COTS units, custom power supplies have a great deal to offer. As the name implies, an application-specific, custom-engineered power supply will deliver exactly what you need, instead of requiring you to redesign your system to fit the range of what a COTS unit can supply. For many industrial, military, and commercial purposes, however, certain requirements such as high performance, equipment sensitivity, climate exposure, and lifespan can make the choice between COTS and custom power supplies an easy and clear one. In addition, when security concerns and risk management are added to the expectations of what a particular power supply will deliver, there can be benefits gained from custom designs that far outweigh any financial or time-related constraints. Of course, there are plenty of non-critical uses of power supplies. Even a custom power supply for the military may not be the best fit if its intended use is not mission-critical. But when military, industrial, or commercial power supply designs and applications have lives and operational goals that depend upon their reliable performance, there’s often a need for custom power supplies. Why Choose Custom Power Supply Design? Rugged usage: Exposure to either extreme temperatures or drastic temperature shifts, as well as usage in harsh climates. Longer lifespan expectations: When dependability over an extended period of time is of critical importance. Specific voltage: Whenever an output voltage must be specific and is not within the normal range of a COTS unit. Size and shape limitations: If a system has particular design limitations that require a smaller than normal or irregular shaped power supply to fit within it. Unusual performance requirements: When noise and/or leakage of current must be controlled and kept to a minimum. Discontinued COTS units: If a COTS unit is discontinued or made obsolete, a custom replacement is sometimes the only valid option. Early on in the design of your system, you may be tempted into believing that going with a COTS unit will help keep costs down. However, once you begin either modifying a COTS unit or making changes to your system, you may find that the price you wind up paying in performance and equipment reliability simply doesn’t amount to valid cost savings in the long run. In addition, while choosing a custom power supply may make you concerned about the time factor involved in its design and manufacture, the time required to make a COTS unit and high-performance system work smoothly together can also be extensive. This is why weighing the benefits of a custom power supply designed, made and tested by a trustworthy manufacturer are worth taking a close look at. First, as already mentioned, with a custom design, you get all of your requirements met — such as size, voltage output, and ruggedness — instead of having to redesign your system to meet what a COTS unit can supply. This brings up a second, closely-related point, which is that you now have the opportunity to maximize the performance of your system both mechanically and electrically while still in the design phase. And to top things off, you don’t wind up having to make space for an off-the-shelf unit with a fixed size or shape. At Advanced Conversion Technology (ACT), we’re ready to take on the challenges of your system and supply you with a custom-engineered solution that delivers what you want. After more than 35 years as a power supply leader, our highly skilled engineers have the expertise you’re looking for, from prototype to production. We’re experienced in the manufacturing of custom AC-DC power supplies, custom DC-DC converters, custom MIL-SPEC power supplies, and a host of other custom power solutions. What’s more, because we have the expertise in-house, we know the questions to ask up front so that your power supply is designed in a timely and effective manner. From expected lifespan and temperature exposure to voltage and load ranges, our engineers know what information to gather, especially if your request for a quote is unclear or incomplete. That’s why working with an experienced manufacturer is a big plus. Since 1981, we have been an industry leader in power supply and power equipment design and manufacturing. In that time, we’ve supplied application-specific power supplies to the U.S. military, defense contractors, and high-end industrial organizations. We’re equally known for our highly trained engineers and our modern, 63,000-square-foot facility in Middletown, PA. In our experience, we know that whether it’s protecting the lives of our troops or meeting the strict budget and time requirements of a commercial endeavor, the quality, performance, and cost-efficiency of the power supplies we manufacture are our daily priorities. It’s to ensure quality control that we have strict procedures in place with every one of our suppliers to address the issues of counterfeit and conflict minerals. 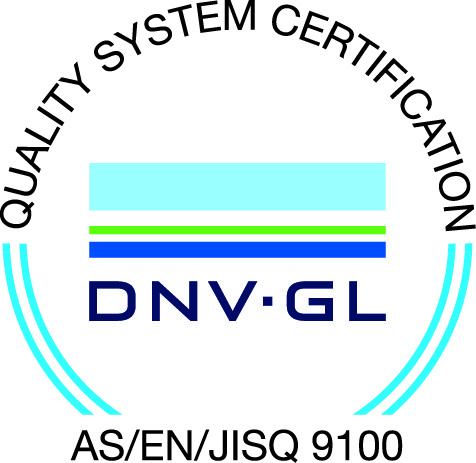 And to further earn your trust, our quality management system is certified to both AS9100D and ISO 9001:2015 standards. In addition, when it comes to custom-engineered power supplies, we’re also your one-stop choice, with a fully-integrated production process that allows all design, manufacture, assembly, and testing of power supplies and equipment to occur within our facility, saving you both time and money. The end results are quality assurance and cost control delivered to you on time and with superior technical support. To find out more about the benefits of our custom power supplies, contact us today.